The state-owned postal group will buy 7 pct of $34 bln U.S. insurer Aflac. It will get no direct say in the business, though, no board seat, and only limited voting rights. The dubious idea that minority stakes buy commitment to mutual gain, common in Asia, has reached its limit. Dan Amos, chairman and chief executive officer of Aflac, pets a duck while sitting on the floor of the New York Stock Exchange shortly after the opening bell in New York, U.S., September 10, 2018. Japan Post will buy 7 percent of Aflac’s outstanding shares, the U.S. insurer said on Dec. 19. The stake would have had a market value of around $2.4 billion based on Aflac’s closing share price on Dec. 18. The companies have “renewed their mutual commitment” to selling cancer insurance in Japan, Aflac said, and added they would explore further collaboration. 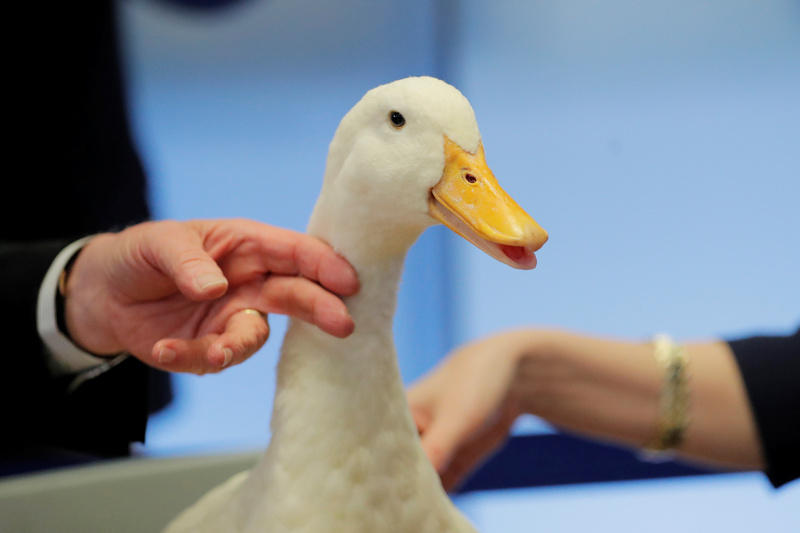 Aflac’s shares confer extra voting rights on their holders after 48 months of ownership. Japan Post agreed to cap its independent voting power at 20 percent. Its shares will also be held in a U.S. trust. Japan Post will not get a seat on Aflac’s board, the U.S. company said. Calls to Japan Post seeking comment went unanswered.